Here's an interview with Jelly Jazz's co-founder Peter Isaac from one of our favorite sites on club culture and DJs, www.tothedisco.com. Go check out their website. They are published monthly and have articles on various DJs, clubs, music, and wonderful insights into the world of club culture history. 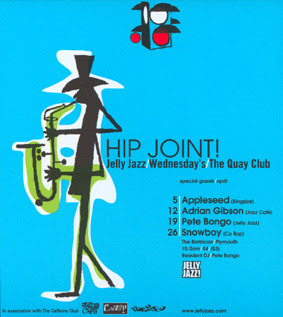 "For the last 14 years Jelly Jazz has been keeping jazz funkers in Plymouth, England dancing on the ceilings. Jelly Jazz has been host too many great funk DJs and live performances including; Mr. Scruff, Keb Darge, Gilles Peterson, Tim 'Love' Lee, Ian Wright, Simon Goss. Ursula 1,000, Jazzanova, The Quantic Soul Orchestra, Faze Action, The Five Corners Quintet, and The Bobby Hughes Experience. The club night originally started at the Quay Club on a Wednesday night but longtime resident DJs Peter Isaac and Griff are now moving the night to Fridays. To The Disco had the rare opportunity to speak with Jelly Jazz resident DJ and original co-founder of the night, Peter Isaac." "What was the jazz, funk scene like when you started your night? Who were the main players on the scene? How has it changed? Can you give me a playlist from back then? Back in 1993 when Jelly began the main players were Gilles Peterson, Patrick Forge, James Lavelle, Dean Rudland, Norman Jay, and DJ Food amongst others. 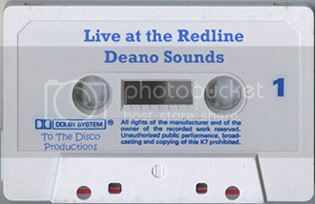 The scene was incredibly London-centric centred around clubs connected with record labels like Acid Jazz and Talkin Loud, and there was also Dingwalls of course." to read the rest of the interview click here. Last week I mentioned I was taking a trip to Chicago to do some crate digging. Well I'm back and it was a very fruitful trip. 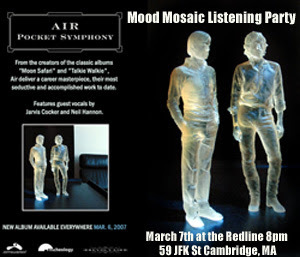 But instead of just putting my treasures up on this blog, I'm going to make you come down to Mood Mosaic to hear them. The first stop on my trip was Dusty Groove. Not a great place to go digging but I did find a descent copy of Marcos Valle's Vontade De Rever Voce. Then I headed over to a store called Crazy Man Records. The guy there was somewhat crazy with the heat off in the store but I did find a nice copy of Skyy's 1980 album, Skyway. 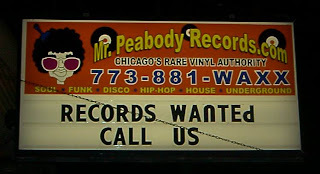 The next day I braved a long journey all the way to the edge of Chicago's southside to a store called Mr. Peabody Records. This store has been a visit for DJs, producers, and collectors of all kinds including Dimitri from Paris, members of Slum Village, Glenn Underground, Eldee Young of the Ramsey Lewis Trio, Theo Parrish, members of the Chi-Lites, and many more. The staff was very hopeful in finding me what I wanted. I left with many great funk, disco, and boogie records including: Above and Beyond's "We Love You Muhammad Ali", Sparque's "Let's Go Dancing", and Creme D'Cocoa's "Doin' the Dog." 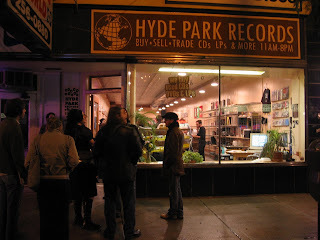 On the final day I went to Hyde Park Records near the University of Chicago. It turned out to be a haven for funk 45s and at a fraction of the cost of buying online. I picked up a nice copy of The Beginning of the End's "Funky Nassau" The Party Brothers' "Let Me Be the One", and Kenny Hamber's "Show Me Your Money." We hope to see this Wednesday at Mood Mosaic. We have PJ Gray guest DJing and I'll be spinning many of the tracks I picked up in Chicago. Sorry about the delay in posting this compilation inspired by last week's Mood Mosaic cover night but I away visiting friends in Chicago. But here it is in all of its glory. Enjoy! PJ of Galactic Fractures has uploaded my mix that I did on his radio show last Sunday and you can go to his website here to download it. Thanks again to PJ for letting me DJ on his magnificent radio show. PJ will be joining us at Mood Mosaic on March 28th so mark your calendars now. 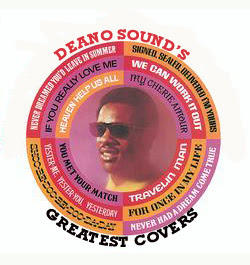 I've been inspired by the blog called Undercover and my friend Chris's Mint Julep night to do a night of obscure covers. Expect to hear all my favorite covers like Kim Weston's "Eleanor Rigby", Marlena Shaw's "California Soul", a Jimmy Smith version of "Papa's Got a Brand New Bag" as well as many others. Look out for a compilation to follow in the next few days. It starts at 8pm tonight. I hope to see you there. PJ Gray has graciously invited me to guest DJ on the Galactic Fractures radio show on Sunday from noon-2pm. If you live in the Medford, MA area you can listen on 91.5 FM. The rest of us can check it out at www.wmfo.org. For more information on Galactic Fractures and to subscribe to PJ's podcast go to www.galacticfractures.com. If you don't know about PJ Gray and his Galactic Fractures show then you've been living in your grandma's basement listening to broken 45s for the last five years. PJ Gray is the king of funk and soul in New England and his radio show has been host to his vast (and I mean vast) collection of funk and soul 45s. Expect to hear some jazz groovers, a little reggae, and funk of all diasporas from me on Sunday. The listening party for Air went great last night. I had to get a little funky after all that mellow music from Air but the evening ended great. For your listening pleasure I've included a 40 minute mix from last night. There are some great funk tracks on it from the straight up funk of Tommy Bush's "Skin It Back Parts 1 And 2" to Ellen McIlwaine's brilliant cover "Higher Ground" to the symphonic jazzy-house groove of Isolee's "Beau Mot Plage" and many others. Also, be on the look out soon for the Mood Mosaic Night podcast once I can figure out how to set that stuff up. "In the 1970's, decaying urban movie theaters in the US screened hundreds of action films, mostly of the blaxploitation and chop socky variety, to an audience of weed smoking inner city youths, digging not only the kung fu fighting but the hard funking soundtracks as well. 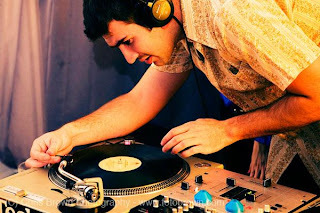 DJ Br. Cleve was a regular denizen of these old Boston grindhouses, theaters like the Astor, Saxon, Gary, Center, Publix and Symphony Cinemas. Little did he know then that halfway around the globe, audiences in decaying movie palaces in Bombay, Delhi, and Calcutta were digging the same type of film, but Bollywood style -- "brownsploitation" flix filled with gamblers, diamond smugglers, dope pushers, thieves, martial artists, terrorists and saree-clad go-go dancers, all set to masala spiced funky beats. After years of vinyl archeology in the bazaars of India, Br. 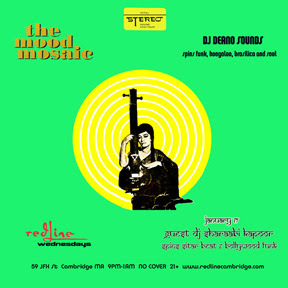 Cleve has morphed into his alter-ego DJ Sharaabi Kapoor, and, at Redline on January 17th, will be presenting the dopest, deepest sitar beat tracks from some of the wildest movies ever made." So sit back and take sometime to listen this rare mix of Sitar Beats and Bollywood Funk from DJ Sharaabi Kapoor. The event starts at 8pm so don't be late or you'll miss out on getting any Air goodies from the good people at Astralwerks. For more info and to hear a sneak preview of the new album go to: www.myspace.com/intairnet or www.pocket-symphony.com.